The Forming – Storming – Norming – Performing team development model was first proposed by Bruce Tuckman in 1965, who maintained that these phases are all necessary and inevitable in order for the team to grow, to face up to challenges, to tackle problems, to find solutions, to plan work, and to deliver results. 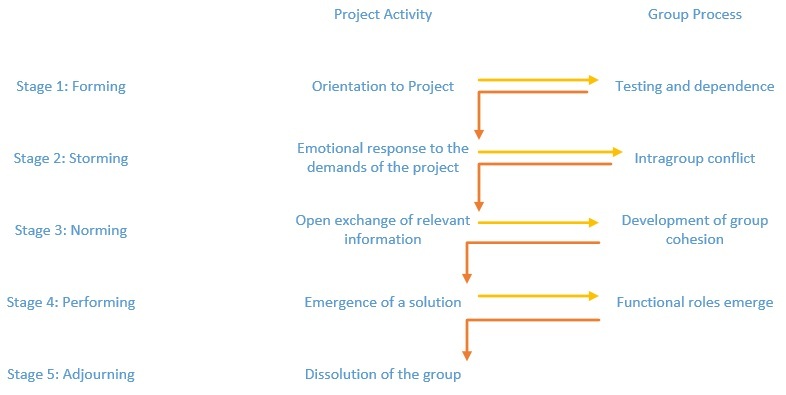 The Forming – Storming – Norming – Performing team development model was first proposed by Bruce Tuckman in 1965, who maintained that these phases are all necessary and inevitable in order for the team to grow, to face up to challenges, to tackle problems, to find solutions, to plan work, and to deliver results. This team development model has become the basis for subsequent models. Just as infants develop in certain ways during their first months of life, many experts argue that groups develop in a predictable manner. During this initial stage the members get acquainted with each other and understand the scope of the project. They begin to establish ground rules by trying to find out what behaviors are acceptable with respect to both the project (what role they will play, what performance expectations are) and interpersonal relations (who’s really in charge). This stage is completed once members begin to think of themselves as part of a group. As the name suggests, this stage is marked by a high degree of internal conflict. Members accept that they are part of a project group but resist the constraints that the project and group put on their individuality. There is conflict over who will control the group and how decisions will be made. As these conflicts are resolved, the project manager’s leadership becomes accepted, and the group moves to the next stage. The third stage is one in which close relationships develop and the group demonstrates cohesiveness. Feelings of camaraderie and shared responsibility for the project are heightened. The norming phase is complete when the group structure solidifies and the group establishes a common set of expectations about how members should work together. The team operating structure at this point is fully functional and accepted. Group energy has moved from getting to know each other and how the group will work together to accomplishing the project goals. For conventional work groups, performing is the last stage of their team development. However, for project teams, there is a completion phase. During this stage, the team prepares for its own disbandment. High performance is no longer a top priority. Instead attention is devoted to wrapping up the project. Responses of members vary in this stage. Some members are upbeat, basking in the project team’s accomplishments. Others may be depressed over loss of camaraderie and friendships gained during the project’s life. This team development model has several implications for those working on project teams. The first is that this team development model provides a framework for the group to understand its own development. Project managers have found it useful to share the model with their teams. It helps members accept the tensions of the storming phase, and it directs their focus to moving toward the more productive phases. Another implication of the five-stage team development model is that it stresses the importance of the norming phase, which contributes significantly to the level of productivity experienced during the performing phase. Project managers, as we shall see, have to take an active role in-shaping group norms that will contribute to ultimate project success. Competence and potential will always be the first criteria for selection of individual team members, often followed by availability. However, if you want a high performing team then attention should be put onto the individuals working preferences to ensure cultural fit and balance. This can be done in a number of ways including psychometric profiling – MBTI, TMS etc there are many tools available. Selection should not be the based wholly on a profile but it is very useful when trying to choose between equally competent candidates. Early and consistent induction is vital to integration, as are regular team meetings. Motivation is important to ensure that individuals operate on a basis of commitment rather than compliance, illustrated by the Y model. Compliance usually results in the bare minimum standard and is often reluctantly given and short term. Commitment however results in individuals being engaged and willing to give their very best for the sake of the project. Based on Maslow’s Hierarchy of needs it is important to create an environment where individuals are able to experience the top 2 levels: Esteem and Self-actualization. Anchors to illustrate that individuals are motivated by different things – power, authority, making a difference, being the best, security, challenge etc. Money is not the highest motivator for many people. Identify personal motivators for self and others. Why a team development model is important. 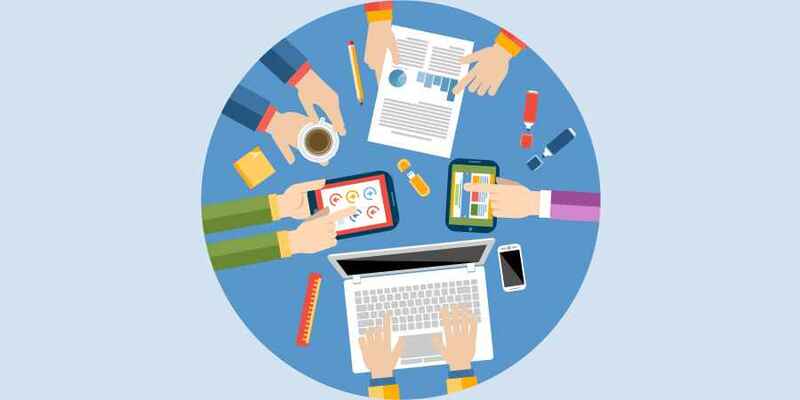 Why team working is so important? What is the business case for investing in team development? What are the risks of not doing anything? Analyze where the team needs to be to maximize its potential and become a high performing team. Focus on discovering ways for it to achieve its objectives. The team development plan needs to be part of the overall project plan. It should have development time planned and booked into all team members’ diaries. One tool for this is the TMSDI Team Performance Profile – a 360 degree profiling tool which can be repeated throughout the life of the project team and used in conjunction with the Five-Stage team development model. Involving key stakeholders in this process has proven to be an excellent method for Stakeholder engagement. For an alternative model of group development see the Punctuated Equilibrium Article.